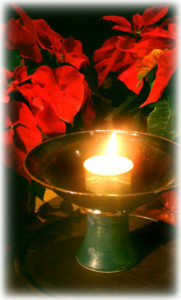 We have lovely services planned for Christmas Eve. Enjoy stories, carols, fabulous music and candlelight all in honor of the babe born in Bethlehem and the unconditional love toward all lives that he taught. 10:30 AM A morning service led by Lori Fatchet-McGee with Nursery care will be available during the service. Podcast is from this service.